A view of work along Crenshaw Boulevard taken in late March. Photo: Metro. Construction work continues on the Crenshaw/LAX Line with several new worksites locations in May, including a closure at Aviation Boulevard and Imperial Highway, steel pile installation at Park Mesa Heights and excavation and decking of the Crenshaw/Vernon station, the third underground station (Crenshaw/Expo and Crenshaw/MLK are the other two). Beginning at 9 p.m. Tuesday, May 5, Walsh/Shea Corridor Constructors (WSCC) will implement nightly closures for four weeks on Imperial Highway at Aviation Boulevard. East and west bound traffic will be impacted. The closure includes two full weekend closures with a possible third weekend, if needed. The closure is necessary to implement cast-in-drilled-hole (CIDH) construction and falsework. Work has been scheduled to begin at 9 p.m. through 6 a.m. during weekdays and Fridays from 10 p.m. until Sunday at 6 a.m. The work is on the structure that will allow the tracks to rise from ground level to a junction with the elevated Green Line tracks. Emergency access will be maintained at all times. Local access to the imperial cargo complex will be via 120th Street. The bus stops located on the southwest corner of Imperial Highway and Aviation Boulevard will be temporarily relocated. 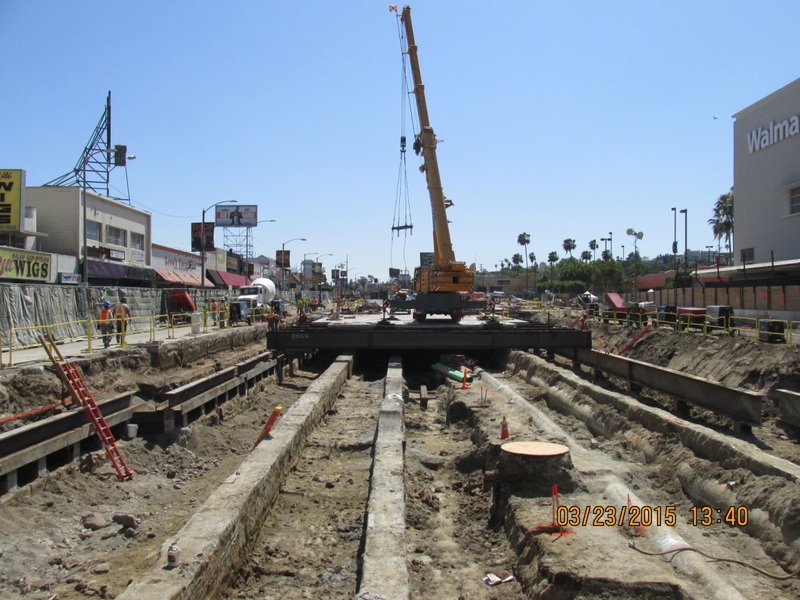 Crenshaw/Vernon, the third and last of the underground stations for the Crenshaw/LAX Line, will begin excavation and decking operations on May 31 closing Crenshaw Boulevard, between Vernon Avenue and 43rd Street/Homeland Drive, for 14 consecutive days. However, eastbound and westbound traffic on 43rd Street and Homeland Drive will remain open. Southbound traffic on Crenshaw Boulevard at Martin Luther King Jr. Boulevard will be restricted while northbound traffic from Stocker Street/Homeland Drive will be allowed. Work has been scheduled 24 hours from 9 p.m. Sunday, May 31, through 6 a.m. Sunday, June 14. Southbound: If traveling south on Crenshaw Boulevard turn left at Martin Luther King Jr. Boulevard, right at Western Avenue, right at Vernon Avenue and left at Crenshaw Boulevard. Northbound: If traveling north on Crenshaw Boulevard turn right at Vernon Avenue, turn left at Western Avenue, left at Martin Luther King Jr. Boulevard and right at Crenshaw Boulevard. Businesses will be open during construction. If planning to travel at or around this area, plan ahead as it is a major thoroughfare used to access West Angeles Church and the Baldwin Hills Crenshaw Plaza as well as many other establishments. Traffic control measures and detour signs will be implemented throughout the closure. Construction of the underground tunnel in the Park Mesa Heights area for the Crenshaw/LAX Line is scheduled to begin in June 2015, on Crenshaw Boulevard between 59th and 67th streets. Construction activities will also take place on the Metro owned railroad tracks between Crenshaw Boulevard and Brynhurst Avenue. In order to do this work, a traffic reconfiguration will be implemented to move vehicular traffic to the west side of Crenshaw Boulevard. Two traffic lanes will be maintained in each direction during the steel pile installation. Metro will inform the public, residents, and business owners of the exact date when steel pile installation begins. There will be left turn restrictions along Crenshaw Boulevard at 63rd Street, southbound 67th Street and 59th Place. Traffic will also be prevented from making left turns from 59th Place onto Crenshaw Boulevard. Pile installation is necessary to build the perimeter walls for the tunnel. Work will be performed 24 hours with most heavy construction activities during the daytime. Construction of this cut and cover tunnel will be conducted in stages and is anticipated to last three-and-a-half years. Businesses will be open and pedestrian access will be maintained. Access to some driveways may be briefly impacted. Metro will notify residents and merchants in advance when this may happen. The 8.5-mile Crenshaw/LAX Line is a $2.058 billion light-rail line that will run between the Green Line and the Expo Line. It will have eight new stations to serve the Crenshaw, Inglewood and LAX communities. It is expected to open in 2019. For more information on the Crenshaw/LAX Transit Project go to metro.net/Crenshaw or join us on Facebook at https://www.facebook.com/CrenshawRail and on Twitter at https://twitter.com/crenshawrail or call the project hotline at (213) 922-2736.
is there a rendering to show what the Imperial Hwy Aviation Blvd. junction will look like when completed? I’ll ask around. I had an engineering-type schematic a while back but it was hard to really see what it will look like. It’s an interesting structure as the train will be running in a trench past the southern part of LAX and then must rise up to meet the elevated Green Line tracks. You guys should follow the lead of Mayor Garcetti and start working together with Google for street closures due to Metro related construction. Everyone has a smartphone these days and therefore everyone has their own GPS device, so if you work together with Google, you can already set road closures into Google Maps that are used by everyone these days. Everyone does not have a smartphone these days. Further using them while driving is dangerous. I am a competent, educated, tech saavy (I have dealt with everything from embeded control systems to mainframe computers, writing code on at least 5 diverse platforms and in multiple languages), and I have enough money for a smartphone. Up to this date I have chosen not to have one. 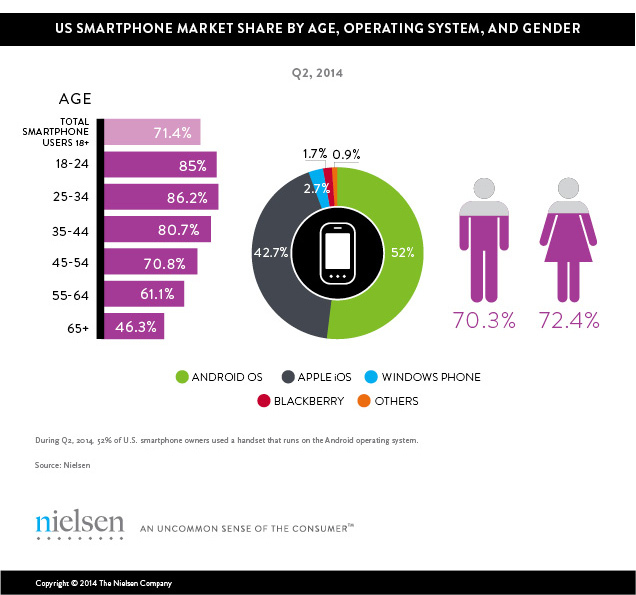 Current estimates have the phone ownership rate at ~50% (depending on who is reporting). It is not necessary to use a phone while driving to track lane congestion. Any seriously congested area will probably be that way for at least an hour. There is no reason, other than your refusal to do so, that you couldn’t use a smartphone or a computer to check your route before you leave your home. On the other hand, there were always bohemian holdouts in every generation. Alexander Graham Bell’s new “telephone” idea was initially mocked as merely a fad in the age of telegraphs, as was Steve Jobs was when he introduced his first Apple computer. Usually, the holdouts tend to wait out until they realize that they can’t continue to fight against progress forever and they find that out the hard way when their older machine breaksdown and they have no choice but to buy a new one. But usually by then, the market has already shifted, manufacturers have stopped producing the old items because they don’t sell and the only ones left in the market are new ones. Look around. Do you see a telegraph machine being sold at BestBuy nowadays? How about old tube CRT TVs or computer monitors? And it’s getting harder and harder to find non-smartphone cell phones today also.